Young Chinese women are risking their fertility by selling off their eggs to unscrupulous fertiliy clinics, a CCTV program has claimed. As part of an investigation into the "human egg black market" CCTV found that high school students and university students were selling their eggs to agents for a few thousand yuan. The clinics then offer these eggs to infertile women who pay 30,000- 100,000 yuan (US$5000-$15,000). The report said young girls were picked because of their looks, education and health and had to endure a series of injections with fertility hormones to stimulate ovulation so their eggs could be harvested by clinics. The young women said they used the cash to pay off credit card debts, but most were unaware of the serious risks of the procedures, including infertility. 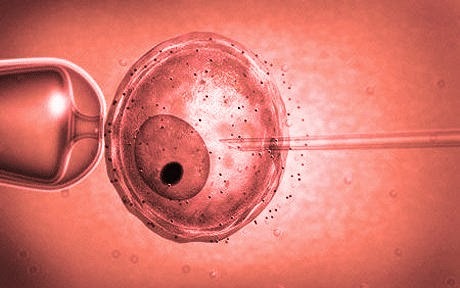 Commentators said the commercial transactions of human eggs were illegal and banned, but there was little enforcement of the rules in practice. They said illegal clinics and the doctors who worked in them made large amounts of money, offering infertile women the chance to select a donor egg based on looks, intelligence and other personal characteristics of the donor. Despite being illegal, the egg black market was a thriving market and barely concealed with advertisements by agents common on the internet. The report said the fertility agents and their networks also offered infertile women other services such as surrogate mothers, as part of packages that could cost as much as 400,000 yuan.The trade was very lucrative and many young women saw nothing ethically wrong with what they were doing, it said. The commentators said there was a need for a widespread crackdown to enforce the regulations on artificial reproductive technology. There was also a need to better regulate reproductive clinics and promote legitimate egg donation rather than the commercial practices, they added.